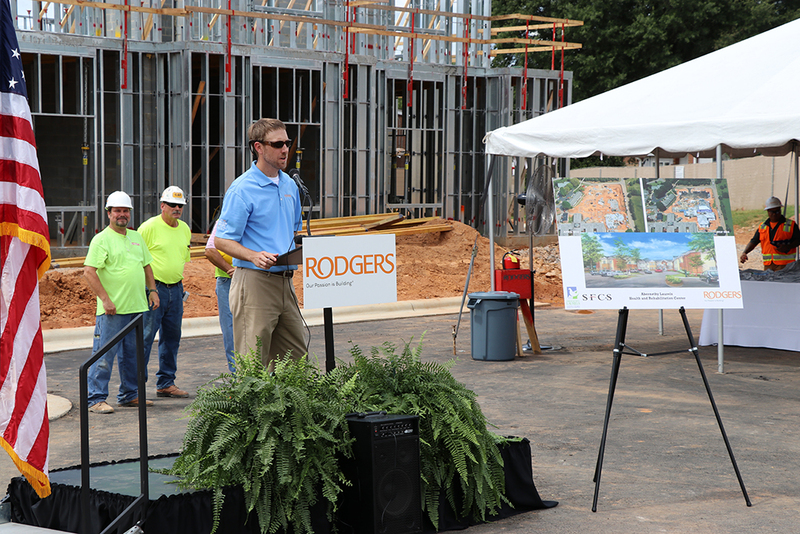 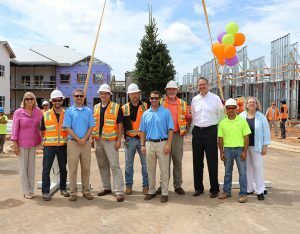 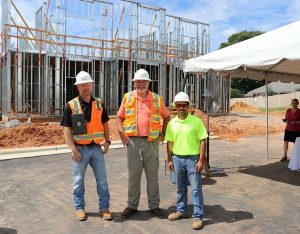 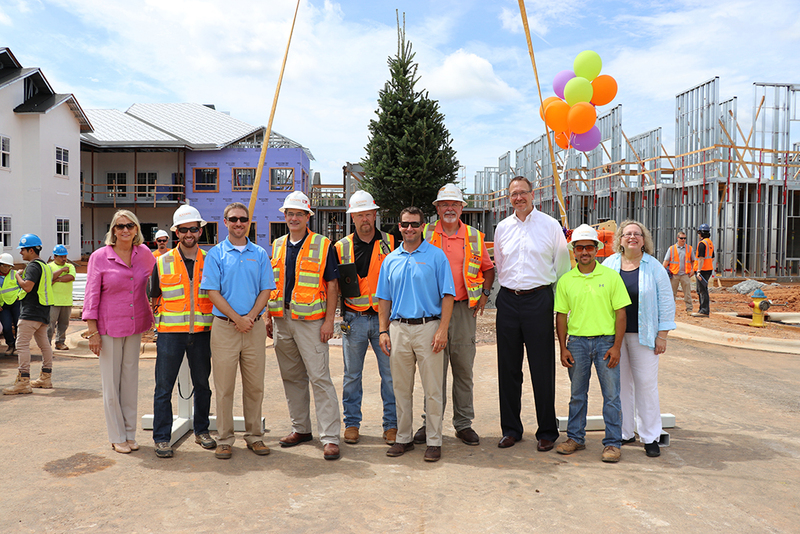 Abernethy Laurels celebrates topping out of new health and rehabilitation center - Rodgers Builders, Inc.
Rodgers reached a milestone today in the construction phase of Abernethy Laurels’ new health and rehabilitation center. 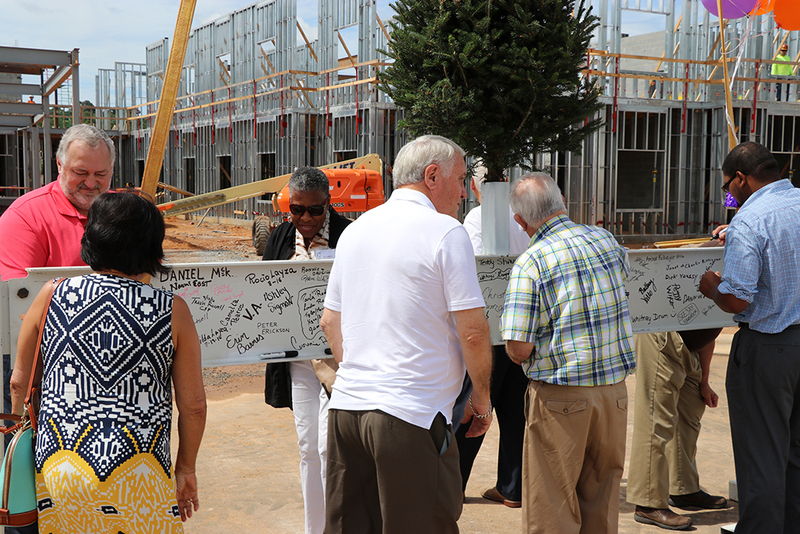 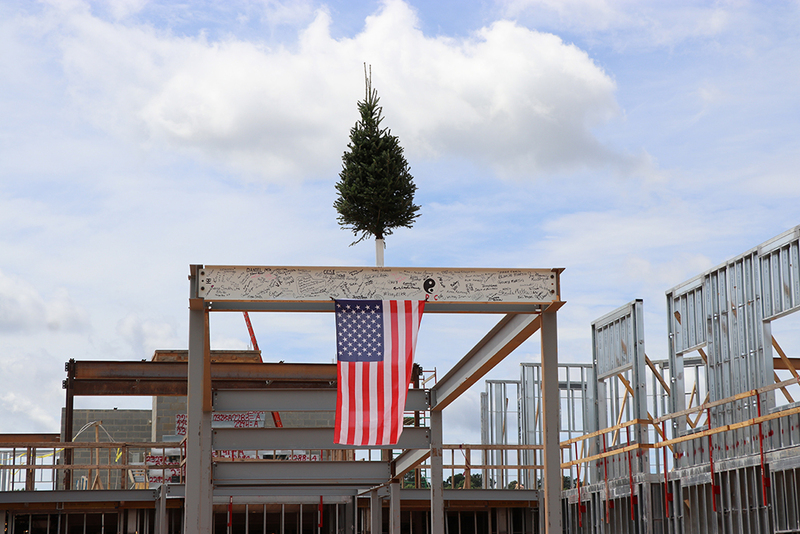 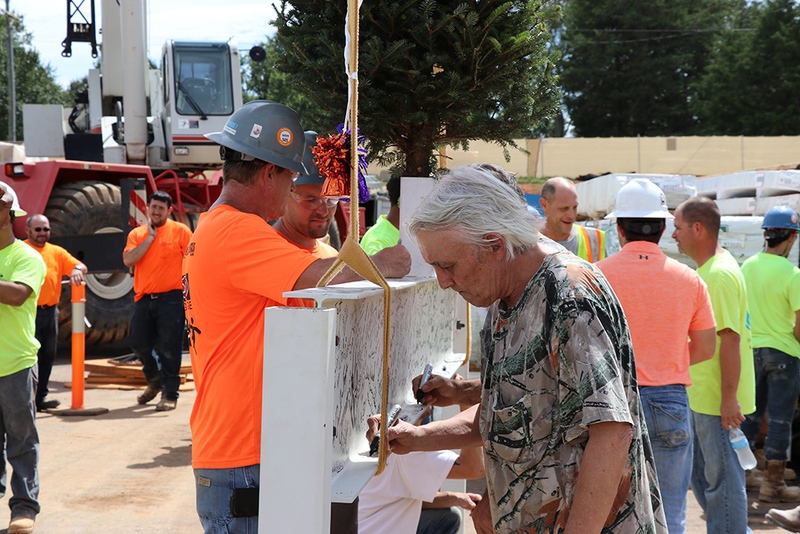 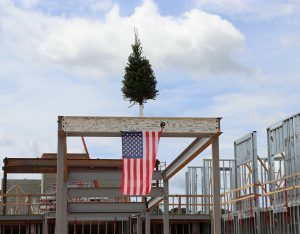 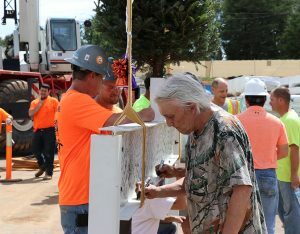 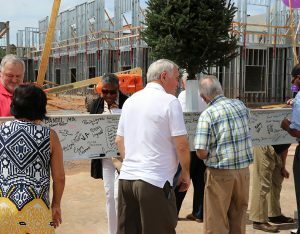 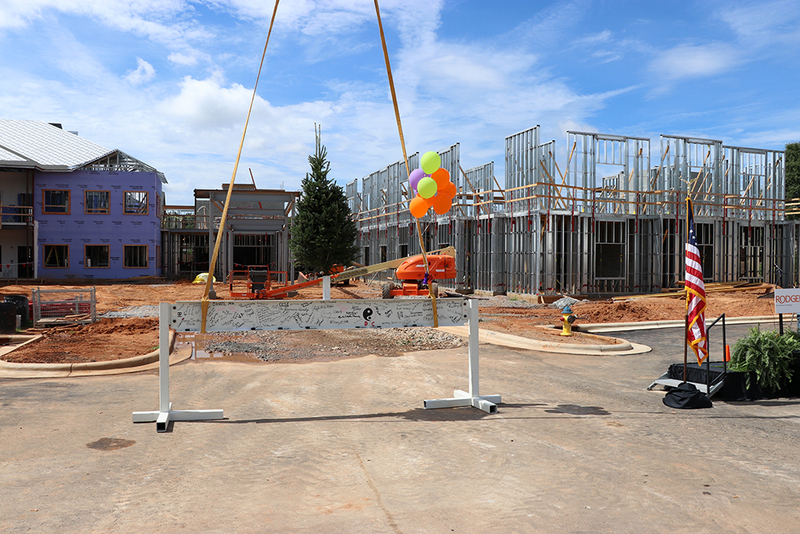 During a topping out celebration in Newton, NC, guests watched as the final piece of steel structure was raised, bearing an American flag and evergreen tree to mark completion of the steel infrastructure and to honor the craftworkers’ hard work and dedication to safety. 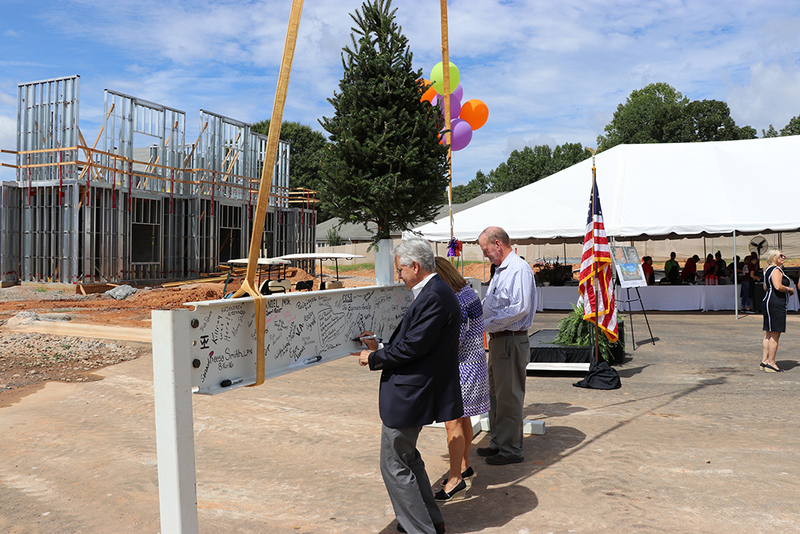 “We have reached a significant milestone for the construction of this facility. 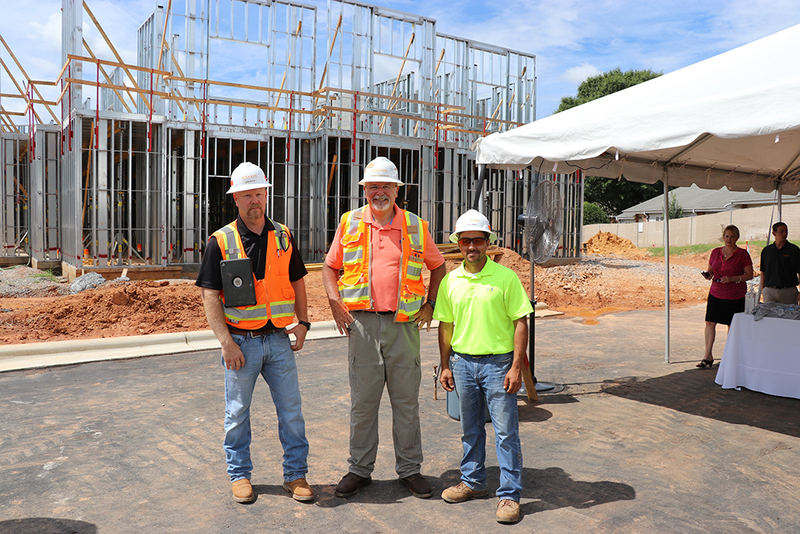 There are so many people whose efforts have been a part of this project, from the leaders of United Church Homes & Services and their Board of Directors, the architectural firm SFCS, Inc., but especially, today we honor our craftworkers. 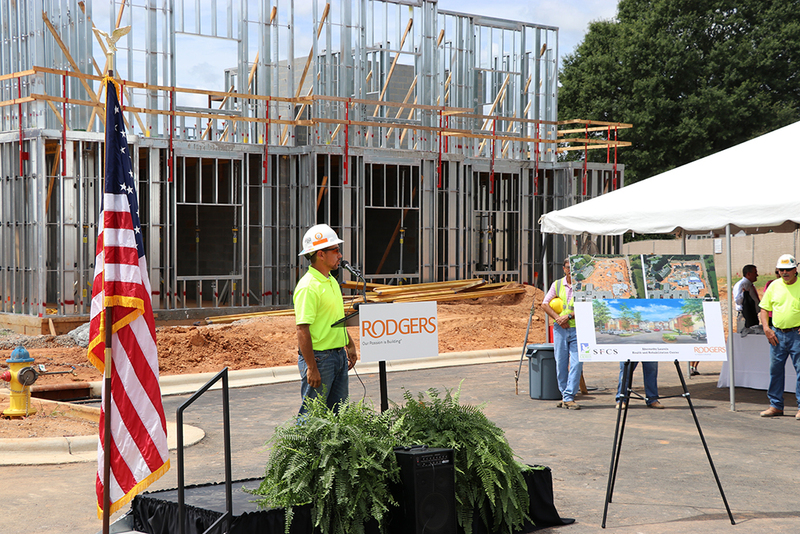 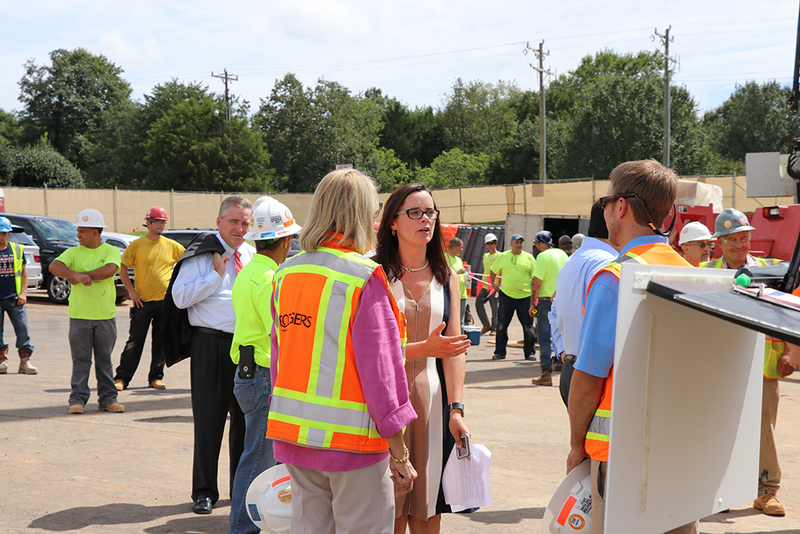 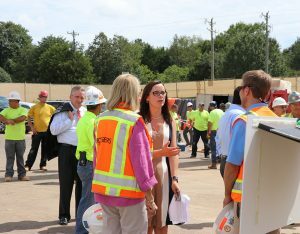 We thank them for their dedication to the safe completion of this project and for their commitment to their craft,” said Pat Rodgers, president and CEO of Rodgers. 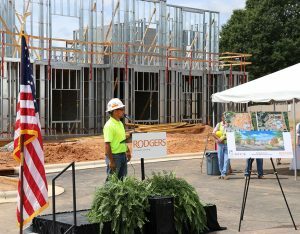 The new health and rehabilitation center has been designed using the Household Model, an approach to providing care that is person-centered with an environment aimed to evoke a feeling of home. 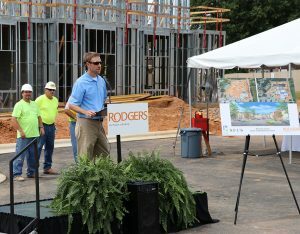 The center will consist of 96 new resident rooms organized into six households of 16 private suites each. 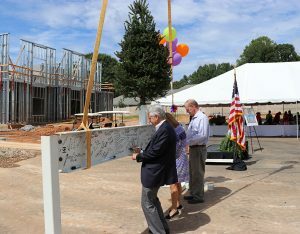 Each household will include living and dining spaces, designed with a residential setting and the ability for management to offer specialized services such as memory care or rehabilitation, based on consumer demands. 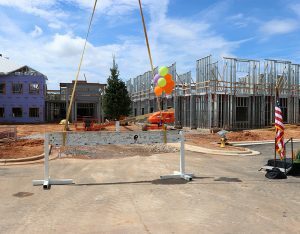 Other amenities and features in the new healthcare center include spacious rooms, easy access to spa-like areas where residents can enjoy a therapeutic bathing experience, numerous landscaped courtyards for relaxation and recreation out-of-doors, a state- of-the-art memory care program that will address the special needs of those with dementia, and increased storage and improved design that will help increase operational efficiency.